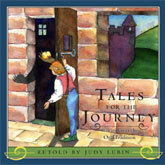 The three tales in this collection deal with quintessential growing-up issues. Cinderella is the story of an ugly, deformed outcast who uses her inner strengths to bring herself into a state of belonging. The Wildman teaches us how to befriend our chaotic, raw emotions rather than suppress them. The Water of Life takes us on a journey deep inside our emotional life in order to bring about healthy growth and change. Cinderella, The Wildman, The Water of Life.